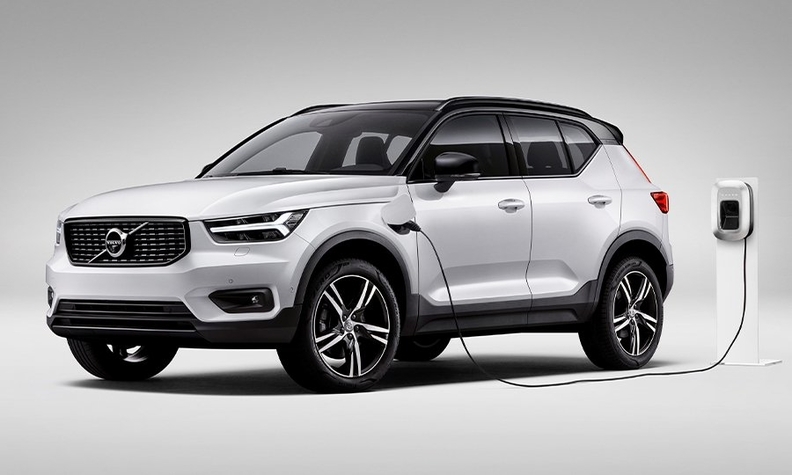 The XC40 T5 Twin Engine plug-in hybrid (shown) is one of three electrified versions of the compact SUV that the automaker will roll out. The others will be a T4 Twin Engine plug-in hybrid and a full-electric version, which will be on the road in 2020. GOTHENBURG, Sweden -- Volvo will reveal the full-electric version of the XC40 before the end of the year, the company told Automotive News Europe at a safety event here last week. Officials declined to provide additional details. Adding a battery-powered version of the compact crossover to the lineup is a crucial step for Volvo, which wants full-electric cars to account for half of its global sales by 2025. The XC40 will be the first battery-driven model from the Swedish brand and the second full-electric vehicle from the Volvo Car Group. The first was the Polestar 2, which the group’s electrified performance brand debuted in February and revealed to the public at the Geneva auto show this month. Both full-electric vehicles will be on the road by 2020. In addition, both models will use the Compact Modular Architecture that Volvo developed with Chinese sister brand Geely. CMA also underpins the 01, 02 and 03 from Lynk & CO. The trio of Lynk & CO cars accounted for more than 120,000 combined sales in China last year. The upstart brand, which is co-owned by Volvo Cars and Zhejiang Geely Holding, plans to open stores in five European cities next year. The XC40 is Volvo’s No. 2-selling model globally after its large sibling, the XC60. Last month Volvo said the XC40 would also get two plug-in hybrid powertrain options, starting with a T5 Twin Engine variant and followed by the T4 Twin Engine. Volvo CEO Hakan Samuelsson said he expects plug-in hybrids to account for up to 25 percent of global sales in the model lines that offer them. Currently about 10 percent to 15 percent of Volvo's global sales come from plug-in hybrids. The powertrain is offered in the XC90 and XC60 crossovers, V90 and V60 station wagons and the S90 and S60 sedans.